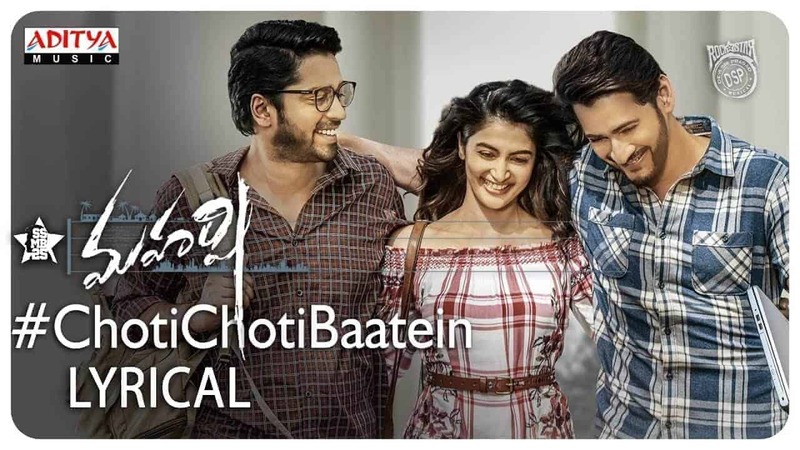 Choti Choti Baatein Lyrics from the movie Maharshi is the new song which is sung and also composed by Devi Sri Prasad. The lyrics for this song has been penned by Shree Mani. The song is from the Telugu movie Maharshi which stars Mahesh Babu, Allari Naresh, Pooja Hegde, Meenakshi Dixit, Sonal Chauhan in the lead roles. Listen to the Choti Choti Baatein Audio Song on Gaana. Loved the Choti Choti Baatein Lyrics? Let us know if there is any mistake.